MacElree Harvey is proud to report that Car Accident and Personal Injury Lawyer Tim Rayne was again named a Top 100 Super Lawyer in Pennsylvania for 2016. Super Lawyers employs a rigorous selection process to pick the top attorneys in their fields of practice including: Peer Nomination, Independent Research and Peer Evaluation by a Blue Ribbon Panel of Attorneys. Here is a link to the 2016 Super Lawyers Top 100 in Pennsylvania. 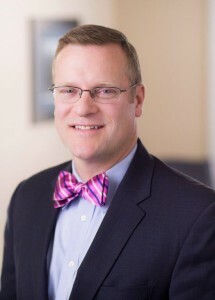 Tim Rayne is a Pennsylvania Car Accident and Personal Injury Lawyer with the Chester County full-service law firm MacElree Harvey, Ltd. For over 20 years, Tim has been helping injured victims of accidents receive fair treatment from insurance companies. Tim offers Free Consultations in his offices in Kennett Square, West Chester or Doylestown or will meet with you at your home or any other convenient location. Contact Tim at 6108400124 or [email protected] or check out his website at www.timraynelaw.com.